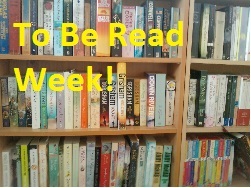 Next Week…To Be Read Week! – It's Time to Read! Next Week…To Be Read Week! Looking forward to seeing how we all do! I would seriously love to do this, but I just got a text from my library about 10 minutes ago saying that all the books I ordered are in and waiting for me… now I can’t give them up!